I’m willing to guess that many of you have issues with your bodies. And probably some of those issues stem from childhood. 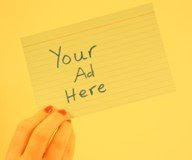 If you don’t – more power to you and please share your secrets! For those who do, consider how you plan to keep your daughters mentally healthy, making good food and exercise choices and not beating themselves up over how they look. It’s not news that from a young age, many girls suffer from eating disorders and poor body images. 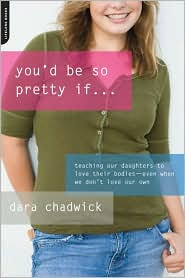 Former Shape Magazine Weight-Loss Diary columnist (and journalist) Dara Chadwick just published the book “You’d Be So Pretty If…Teaching Our Daughters to Love Their Bodies -- Even When We Don't Love Our Own" and she did a Q&A with Frisco Kids. Check out Shape’s May 2009 issue, which features a book excerpt (which was great! I read on the treadmill last week). AND she was on the Today show last week (Yay Dara!) and you can see that video here, along with an exerpt. Frisco Kids: Why did you decide to write your book? Dara Chadwick: I decided to write the book after I wrote my Weight-Loss Diary column for the May 2007 issue of Shape. In it, I reflected on how the way my mother felt about her body had shaped my body image and on how my body image was affecting the way my daughter (who was 11 at the time) felt about her own body. The response to that column, and the passion that the topic stirred up in me, told me I was on to something. Q: Many of us have body images we negatively take from our relationships with our mothers. What can we do to avoid that with our daughters? A: We can become aware of our own behavior toward our bodies and consciously change it. It's not only what we say about our bodies, but also the way we dress them and treat them that affects our girls. If you eat healthfully most of the time, exercise your body in a way that makes sense, make an effort to look your best and speak kindly about yourself, you're well on your way to showing your daughter what a healthy body image looks like. Q: Any tips on changing our body issues as mothers? Of course many of us are still carrying around that baby weight. A. I've been there and I know how hard it can be when you don't feel good about yourself. I'd advise moms to simply start being kinder to themselves. Try to make good food choices (believe it or not, I'd often choose a less-healthy choice for lunch because I didn't want to make the effort and "dirty" a pan to cook something healthy if it was just me). Try to move your body in some way -- even if it's just a walk around the neighborhood with the stroller. When you look in the mirror, try to notice one good thing about yourself -- your new haircut looks great, the skirt you're wearing is flattering to your figure, etc. Start with little steps and soon, you'll be feeling better. As you feel better, you'll make more healthy choices. It's also important, though, to bring some perspective to your body. Once you've had children, you may not ever get your pre-baby body back. But you can choose to love the body you have now. Q: How has your daughter reacted to the book? A. My daughter loves the book. But she read it long before it was ever published, and we talked about what would go in and what she'd prefer to keep private. I couldn't have written this book any other way. Q: How did being the Shape Weight Loss columnist for one year change your body image? How did that affect your daughter? A. My daughter watched me like a hawk when I was writing the Weight-Loss Diary column for Shape. Together, we learned a lot about nutrition and exercise, but we also learned a lot about what goes on behind the scenes of a "perfect" magazine photograph. It's something I wish all girls (and women) could experience. Most importantly, though, together we learned a lot about what can and can't be changed, and about the value of learning to accept yourself and be proud of who you are. Q: What do you hope readers will take away from your book? A: I hope readers will close the book and realize that they don't have to be their own version of "perfect" or look like a supermodel to raise a daughter who feels good about herself. Little changes to our words and our behavior can make a huge difference to our kids. Thank you to Dara for talking to Frisco Kids! What will YOU do to raise your daughter with a healthy body image?